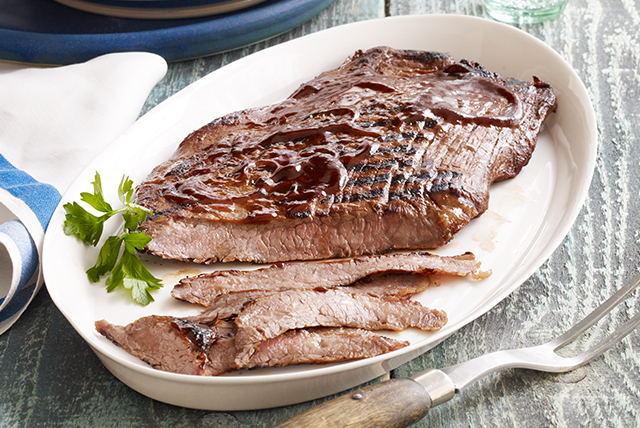 Please the whole table with this Deviled Flank Steak Recipe. Dijon mustard and hot pepper sauce are key ingredients in this Deviled Flank Steak Recipe. Brush steak with 2 Tbsp. steak sauce. Grill 16 to 18 min. or until medium doneness, turning after 9 min. Remove to carving board; tent with foil. Let stand 5 min.